For many Long Islanders, post Labor Day weekend signals the end of pool season. Homeowners begin the process of closing their pools and spas even though weather conditions are still favorable for many outdoor activities. 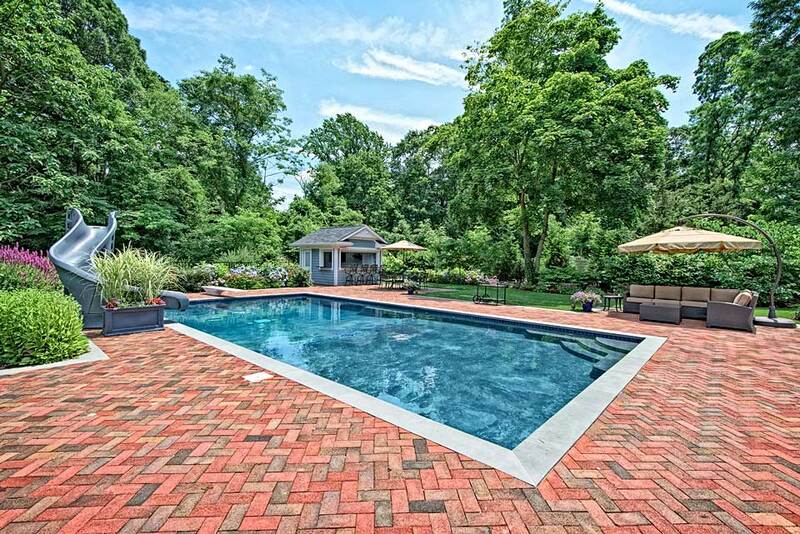 If you are looking to extend the pool season and gain additional enjoyment from the backyard space here are some suggestions. Climatize the water temperature to accommodate the cooler air temperatures in September and October. Maintaining comfortable pool water temps can be achieved by adding a heat pump, fuel type heater or even combining the two types of heaters for higher efficiency which is known as Hybrid heating. Another option is utilizing an automatic pool cover that opens and closes with a click of a button. Keep in mind that you don’t need to be inside the pool to gain pleasure from the poolscape. …you don’t need to be inside the pool to gain pleasure from the poolscape. Optimize the outdoor area by creating an inviting gathering space. From a quaint fire pit where the kids can pull up a chair to roast marshmallows, to a large hearth for a quiet evening sipping on your favorite beverage, or a fully appointed outdoor room with audio visual elements, each will bring hours of pleasure and relaxation. Outdoor entertaining is more appealing with an impressive backdrop. Enhance the aesthetic appeal of the pool with lighting and fire features. Replacing the standard white pool light with the latest energy saving LED color lights will deliver a rainbow of colors to the pool water. And fire elements strategically placed on pool decks or pedestals create a dramatic effect with the flames reflecting on the water. Select from a variety of styles including fire bowls, curved fire walls, linear fire bars and tiki torches to compliment your lifestyle and pool design. Any of these will extend your pool season in the fall as well as in the spring. Not only do you get to enjoy the pool longer, but you also avoid the mad dash and frustration of everyone trying to close and open their pool at the same time. Take note that when you are ready to close-up the pool, be certain to work with a professional licensed pool contractor who is trained in the proper techniques of winterizing a pool or spa. President of Chaikin Ultimate Pools, a DBA of Ultimate in Pool Care, Inc., the award-winning pool builder is noted as one of the top professionals in the field of pool construction. In addition to constructing complex aquatic environments for private estates, international franchise hotels, community pools, private clubs, and national fitness centers, Chaikin is also a subject matter expert and educator for the APSP University. He can be reached at 631-242-2667. Want or need to close your pool now? Need a new cover for your pool and/or spa? 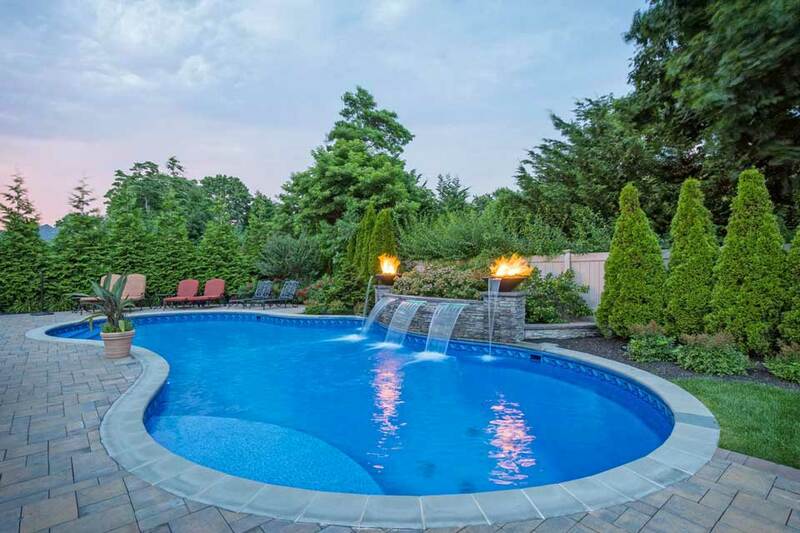 Check out our Pool Winterizing & Winter-Watch services for more information, or give our office a call at 631-242-2667 now!